In theory, breakfast is my absolute hands-down favorite meal. In practice, it's either non-existent, boring old milk and cereal, or a piece of fruit grabbed off the counter. So even though I'm not one much for resolutions, I like the idea of a good breakfast. Last time R and I were in Norway I was struck by the fact that Norwegians really know how to do breakfast. There was a spread every morning of whole grain Wasa crackers on which we loaded various toppings from cheese, jam, cold cuts with lettuce and tomato, chunks of crab, herring, even little mini shrimp. I mean, it's like a real meal. With real food that's actually good for you. Imagine. So when browsing around the various food blogs and sites, I started link hopping and ended up on Bon Appetite's New Year's Food-Lover's Cleanse. Ugh with the resolutions, I know. But I have to give credit where it's due, and the idea fits so well with this blog and its Norwegian leanings. 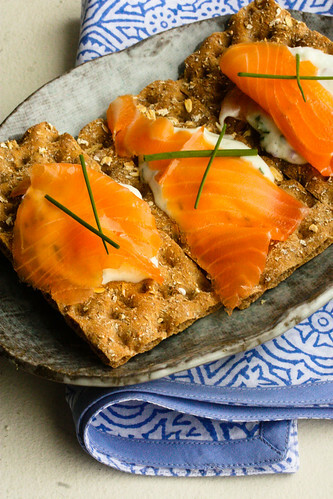 Not to mention that I frickin' love smoked salmon. 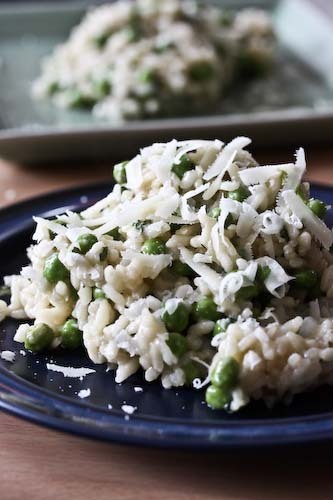 And I love it even more when it's laying on a dollop of plain yogurt that's been mixed with chives and a little red onion. Which is why the Norwegian tradition of these little open-faced cracker things is so genius. If you whisk up the yogurt mixture the night before, they're a completely assemble-and-go affair. And of course, you don't have to save them for breakfast. I find myself craving them constantly. Whisk together the yogurt, onion and chives. 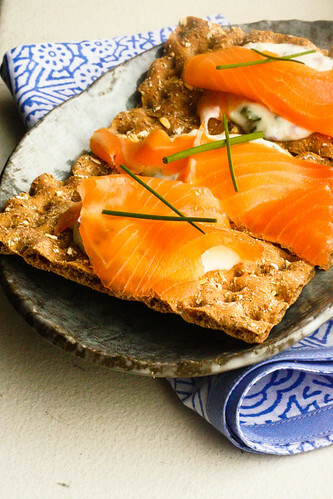 Spread a dollop of the yogurt mixture on each Wasa cracker and then lay a slice of smoked salmon on top. Enjoy! Breakfast is my favorite too and it's a shame that it's so hard to fit into a busy schedule. Now I've got smoked salmon on the brain. And thanks for that cleanse link. I'm not big on diets and stuff, but this seems to just encourage eating more vegetables, which I try to do anyway. I'm so in love with this for breakfast or any time of day. I love smoked salmon too!